Located in the Mills Pointe shopping center at the SE corner of E Trinity Mills Rd and Marsh Ln in Carrollton, TX. We accept Medicare, Aetna, BlueCross BlueShield, UnitedHealthcare, and many other insurance plans. Call us today for an appointment. Located in the Mills Pointe shopping center at the SE corner of E Trinity Mills Rd and Marsh Ln in Carrollton, TX. We specialize in low level laser light therapy, spinal decompression therapy, and massage therapy. Call us today for an appointment. ¿Ud. tiene dolor de cabeza? ¿Artritis? ¿Dolor de cuello? ¿Dolor de espalda baja? ¿Ciatica? Es posible que tiene Ud. compresion de los nervios como resultado de discos herniados. Podemos ayudarle. Visite a nuestra terapueta de masaje que puede mejorar su condicion. Aceptamos Medicare, Aetna, BlueCross BlueShield, Cigna, UnitedHealthcare, otra aseguranza y tambien dinero efectivo. Llamanos ahora para hacer una cita. Estamos en la plaza de Mills Pointe en el mismo estacionamiento de Mena’s Tex-Mex Grill y Fitness Connection. Located in the Mills Pointe shopping center at the SE corner of E Trinity Mills Rd and Marsh Ln in Carrollton, TX. 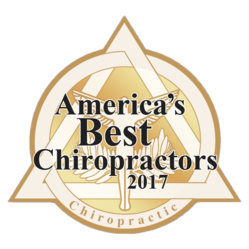 We specialize in pain management, cold laser therapy, spinal decompression therapy, and massage therapy. Call us today for an appointment. Located in the Mills Pointe shopping center at the SE corner of E Trinity Mills Rd and Marsh Ln in Carrollton, TX. We accept Medicare, Aetna, BlueCross BlueShield, UnitedHealthcare, and many other insurance plans. Call us today for an appointment at 513-580-4930.